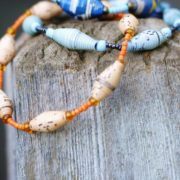 The classic bracelet combines hand-crafted beads made with recycled paper or cardboard with coordinating glass seed beads. 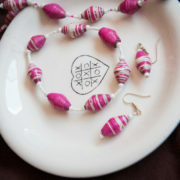 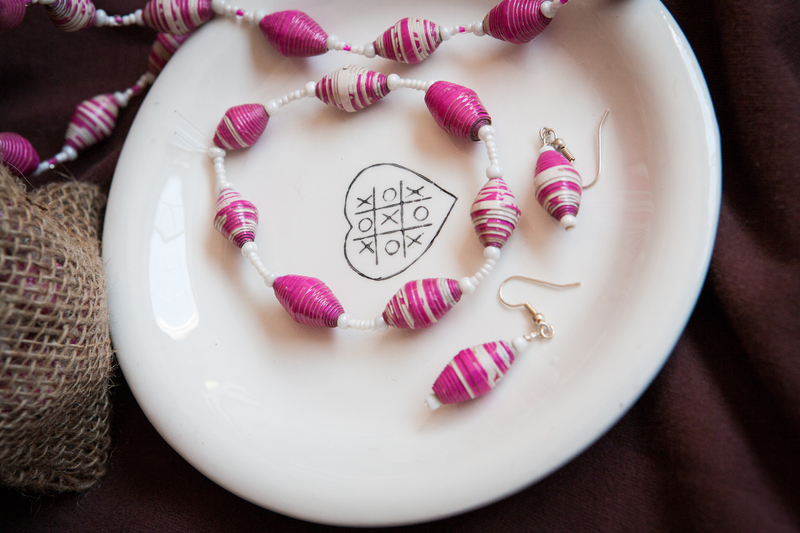 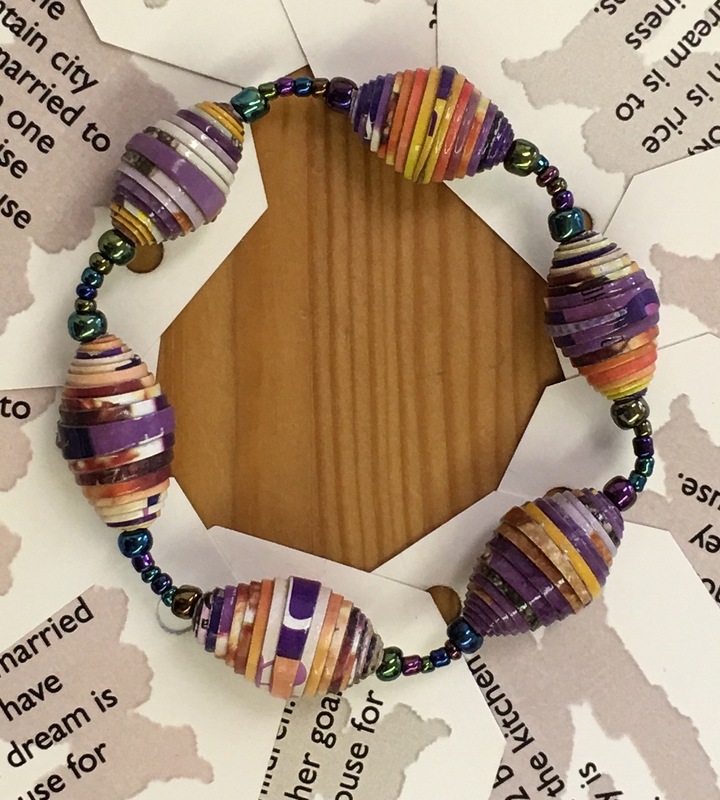 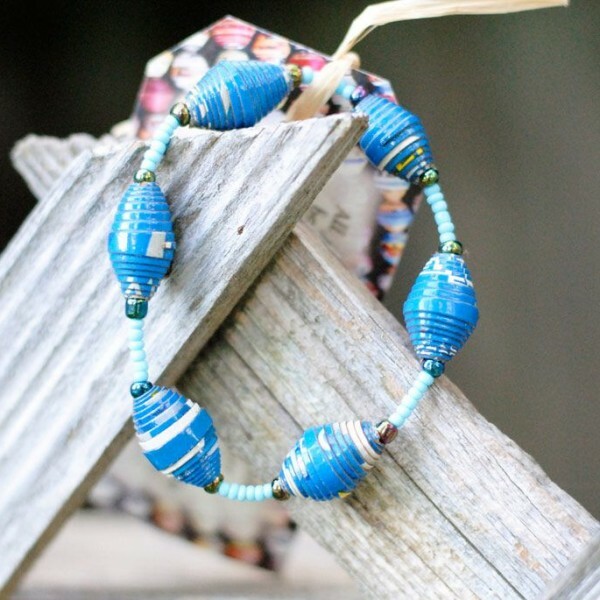 The recycled beads vary in size, measuring anywhere from ½ to 1-inch. 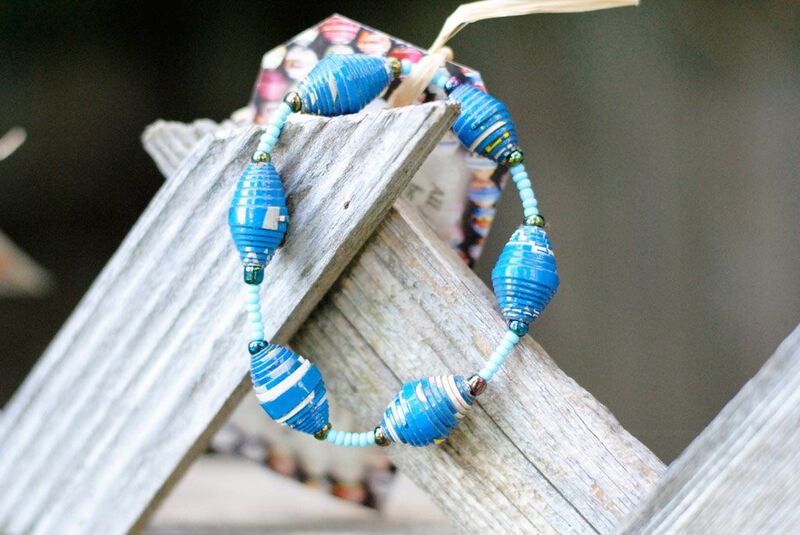 This bracelet is made on a stretchy string so it can slip easily over any size wrist. 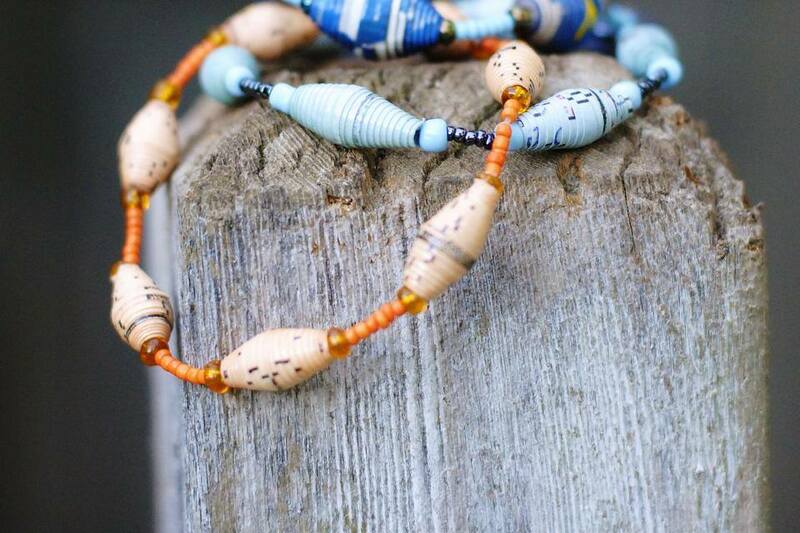 This piece adds color and pizzazz to any outfit. 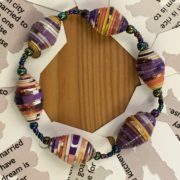 Wear one or several bracelets for a unique look.